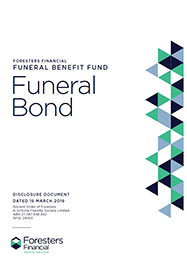 Please click here to download the Foresters Funeral Bond application form and disclosure document as PDF (3MB). 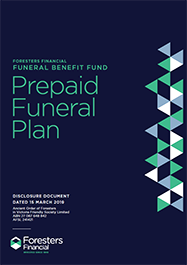 Please click here to download the Foresters Prepaid Funeral Plan application form and disclosure document as PDF (1MB). 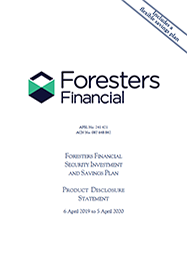 Please click here to download the Security Investment and Savings Plan disclosure document as PDF (20MB).